The Lunar New Year is fast approaching and in true Chinese fashion, we are ushering the year with a fresh batch of TV series. It is common practice to impose a limit on historical dramas for what good reason, I really can't comprehend. For us viewers, it basically means that the number of historical dramas per channel can never exceed 15% of the total shows allotted for the same slot. Nevertheless, period dramas have proven time and again that they fare extremely well in the perpetual battle for ratings with hits like Journey of Flower and Sword of Legends to name a few. Lucky for us, this is why a number networks have chosen to welcome the Year of the Monkey with a lot of wuxia series. Imperial Doctress 女医明妃传 premieres Feb 13 where Liu Shi Shi (Ballad of the Desert) will make a comeback in a palace drama opposite Wallace Huo (Journey of Flower). The promotional pictures alone feel and look like a Korean drama so I wasn't the least bit surprised that this is dubbed as the Chinese version of Jewel in the Palace. Chronicle of Life 寂寞空庭春欲晚 premieres Feb 1 starring Hawick Lau (Legend of Flying Daggers) and Zheng Shuang (Sword of Legends). Set in the Qing dynasty, it depicts the tragic love story of a young Emperor Kangxi and seems to lean heavily towards a melodrama. New Xiao Shi Yi Lang 新萧十一郎 premieres Feb 9 starring Yan Kuan and Gan Ting Ting. Unlike its predecessor, New Xiao Shi Yi Lang is expected to have a different take on Gu Long's classic wuxia. 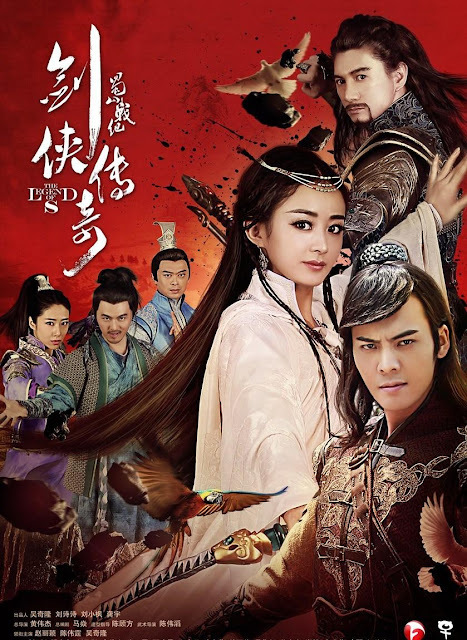 I classify this as a romance drama through and through but it is precisely my favorite because it masterfully combines romance and wuxia into one brilliantly written storyline. Legend of Zu 蜀山戰紀之劍俠傳奇 was pre-released as a web drama last year and only began its TV broadcast on Jan 20 but to keep things interesting, the production team has prepared two separate endings. In a way, Zhao Li Ying reprises a role similar to Hua Qian Gu in Journey of Flower because she is once again in a fantasy wuxia. The Three Heroes and Five Gallants 五鼠闹东京 is about the misadventures of the noble martial arts heroes Zhan Zhao aka Imperial Cat and the Five Mice. The drama stars Chen Xiao, Yan Kuan and Zheng Shuang. Guessing it's double the fun for Yan Kuan and Zheng Shuang, both of which have two of their own dramas airing concurrently this Feb.
Princess Jieyou 解忧公主 premieres Feb 18 starring Zhang Xin Yi and Yuan Hong. 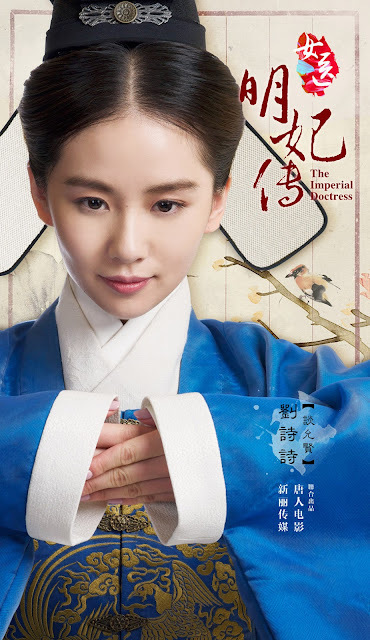 The character stills remind me of a more traditional historical drama depicting the life of Princess Jieyou. Last but not the least is The Legend of Nine Tails Fox 青丘狐传说 starring Jiang Jin Fu (Legend of Qin) and Gu Li Na Zha (Rift of the Sky), which will be seen on Hunan TV starting Feb 8. Since I actually get this channel, I might start with it for convenience sake. Which one will you be watching? Broadcast Schedule -> March and April 2016.